I used the shaded blanket pattern to make this beautiful afghan. This blanket is a perfect size for a baby. I used Michael’s Loops & Threads Impeccable yarn. I love the thickness of the impeccable yarn. 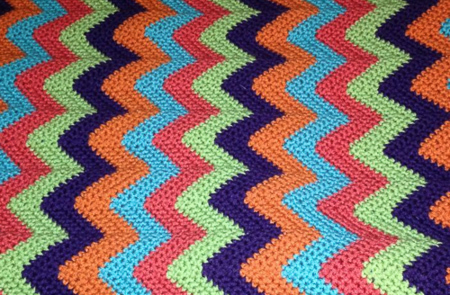 This blanket turned out super soft and washes up nicely. You can find this free pattern HERE. You will need to log into the Lion Brand site to get this pattern.